Origanum Vulgare is the scientific name of Oregano. The word Oregano originates from the Greek words όρος (mountain) and γάνος (brightness) which translates to: the delight of the mountain. Oregano is highly antioxidant, due to a high concentration of Carvacrol and Thymol. In-vitro experiments have also proved drastic antimicrobial, antiseptic and antibacterial effect. Oregano enhances muscle binding and flexibility, is healing and acts against acne, wrinkles, cuts, burns, eczema, bruises, skin wounds, psoriasis, phlebitis, backaches, seborrhea, herpes, insect bites. In ancient Greece it was used as a symbol of happiness. Hippocrates used Oregano as an antiseptic, as well as for curing stomach and respiratory ailments. 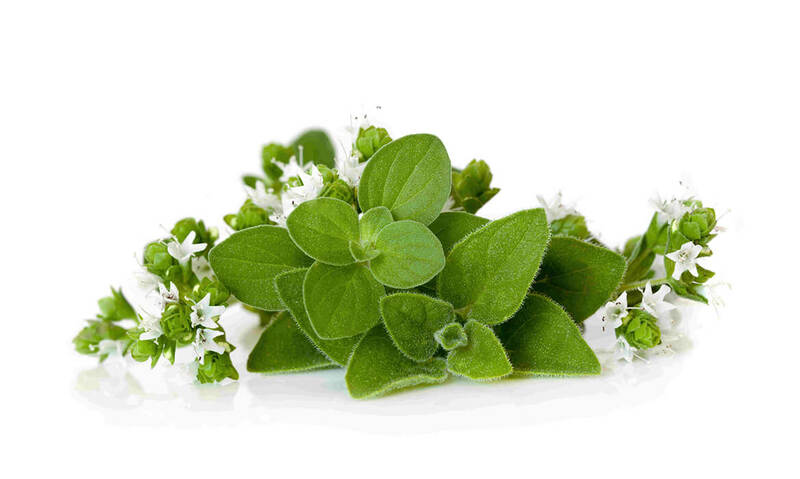 The Greek Oregano extract is considered of the highest quality worldwide due to its high percentage of essential oils.